In 1843, France established a consulate in Monterey, then the capital of Mexican Alta California, to attend to the needs of French immigrants who werre mainly merchants, farmers and trappers. 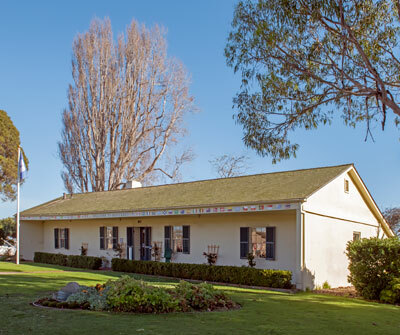 This long, low adobe building was called the French Consultae because it was the home of J. A. Moerenhaut, the French Consul to Mexican California. When we photofraphed the building in 2018, it housed the Monterey Vistors Center.